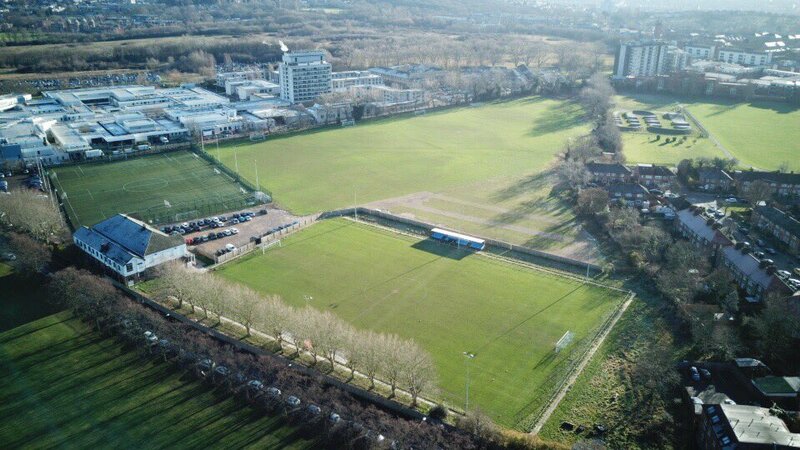 We recently started taking a look into the Bromley and South London Football League where we found a highly competitive four divisions with a host of popular and historic clubs battling it out for the right to become among the best teams in the area. This week we take a look into one of the newer teams in that League. They are a team that has big potential and has had a great first half to the season. They are Meridian Sports FC. 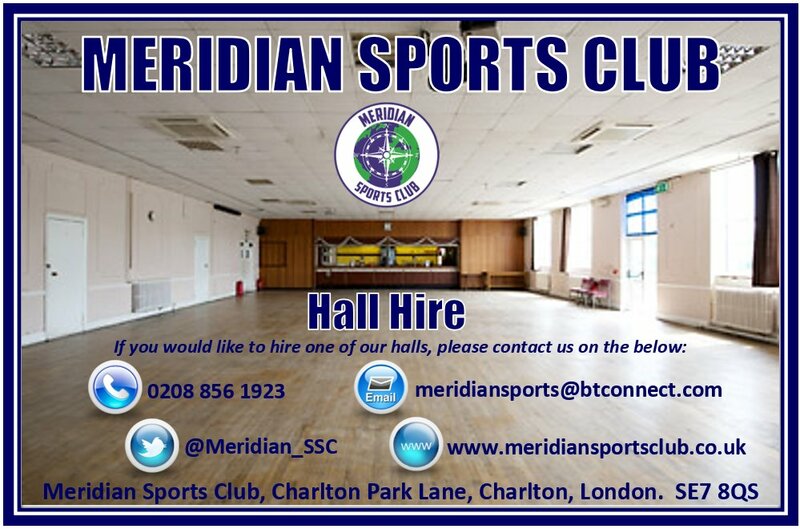 Meridian play in the Jim Hampson First Division and are based at Meridian Sports and Social Club. They should not be confused with Meridian VP who also play at that location, as do Bridon Ropes. Both of those teams play in the Southern Counties East Football League Division One, step 6 of the non-league pyramid. That stage may seem a long way off for Meridian Sports at the moment but they have dreams and after a strong start to the season they are setting the pace for the other to follow. I managed to fire some questions at Team Manager Alex White about how he came to the club and his thoughts for the season and beyond. Q: You sit top of the league, albeit with other teams having games in hand on you – how do you evaluate the start Meridian have had this season? AW: I took over the club after a tricky start to the season, we had lost 3 games early on so it was important I steadied the ship and got us back to basics. We have some brilliant players here but we weren’t playing to everyone’s strengths, we tweaked a few things and the results picked up. We’ve been unbeaten since then and there is no doubt in my mind the run can continue. Q: How did the opportunity to take over Meridian come about? AW: I had finished up my under 18’s coaching role with Bromley and was looking at new opportunities, I had worked with a couple of the boys in previous roles so it made sense for me to come in and try to settle things down a bit. Q: What sort of players have you been able to attract to Meridian this season? AW: Well, none as of yet! I was keen to keep the group that was already here – we are a bit thin and with a couple of injuries and suspensions we could be in trouble. We are actively searching for some fresh blood that can add some quality and competition. The standard I already have here is freighting, we have boys who have been through the ranks at the likes of Palace, Charlton and Maidstone – keeping hold of the current group will be the priority. Q: What are the plans for the club going forward? AW: I’ve coached and managed some great players in the past and I can safely say some of the boys in this group are amongst the best I’ve worked with, if we live up to our potential who knows what level we can get too. It is essential we stay grounded and keep focusing game by game but on our day we can compete at a much higher level. This season we have drawn with Bridon Ropes and comfortably beaten Crockenhill, for me – that says it all. The main aim is to get up the leagues as quickly as we can. Thanks for your time Alex. Any top club needs a good pitch to play on so another person that will be key to the success of the team will be Groundsman Tony Provan. He has the responsibility of maintaining the playing surface of the Stadium pitch for the three mentioned Saturday teams plus also the adjoining pitches for the other clubs that play there at weekend too. Fortunately he is hard-working and clearly experienced as the ground has looked stunning all season, so well done Tony. Clearly this looks like a progressive team and one that I will keep an eye on as this season gets into the final stages and if they live up to their potential I can hopefully follow their journey all the way to the Kent County Leagues and beyond! 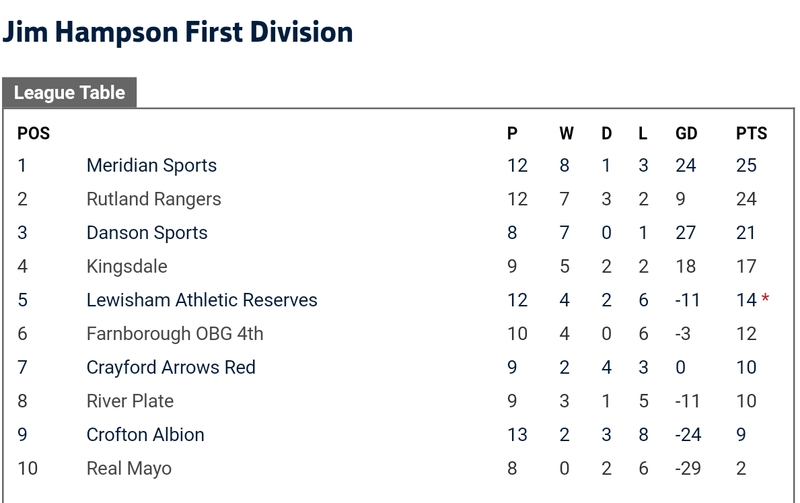 Next League game for Meridian Sports is an away visit to title rivals Kingsdale on Saturday 13th January (edit: won 3-1) and they have warmed up for that with a nice 5-1 win against Bridon Ropes Reserves on Tuesday night. Harry Bugden getting on the scoresheet a couple of times in that one.